Branden C, Tooze J. (1999). Introduction to Protein Structure. New York: Garland Pub. ISBN 0-8153-2305-0. Van Holde KE, Mathews CK. (1996). Biochemistry. Menlo Park, Calif: Benjamin/Cummings Pub. Co., Inc. ISBN 0-8053-3931-0. Comparative Toxicogenomics Database curates protein-chemical interactions, as well as gene/protein-disease relationships and chemical-disease relationships. 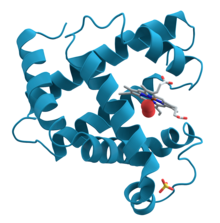 Proteopedia - Life in 3D: rotatable, zoomable 3D model with wiki annotations for every known protein molecular structure. หน้านี้แก้ไขล่าสุดเมื่อวันที่ 11 กุมภาพันธ์ 2562 เวลา 01:12 น.